Pokemon Eevee and Tamagotchi Collaboration Announced! | YumeTwins: The Monthly Kawaii Subscription Box Straight from Tokyo to Your Door! 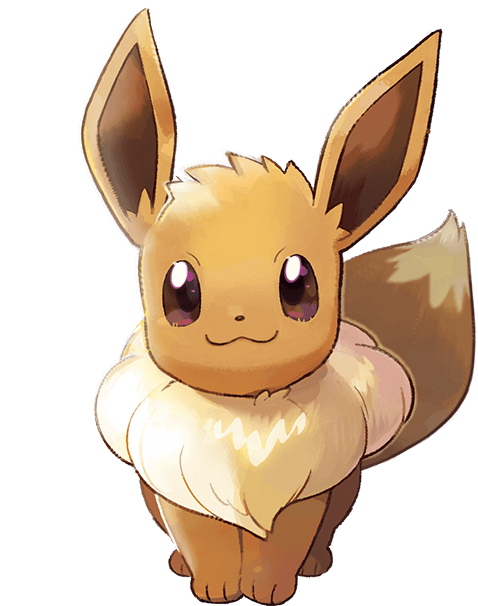 With the release of Pokemon Let's Go Eevee and Pikachu the already beloved Eevee has been in the spotlight especially lately! Eevee already has its own staple dish at the Pokemon Cafe in Tokyo, and Bandai has been on a roll lately producing cute Pokemon goods too! But today, the official announcement came that Tamagotchi are collaborating with Pokemon to produce special limited edition Eevee tamagotchi too! We already own the Gudetama tamagotchi and Sumikko Gurashi tamagotchi but we're incredibly excited to add this new Eevee tamagotchi to our collection as well! There will be two design variations, the first being the yellow "Lovely Eevee" version and the second being the pink "Colourful Friends" version! Depending on how you raise and take care of your Eevee tamagotchi, it'll evolve into one of it's 8 Eeveelutions. But wait!!! That's not all!! 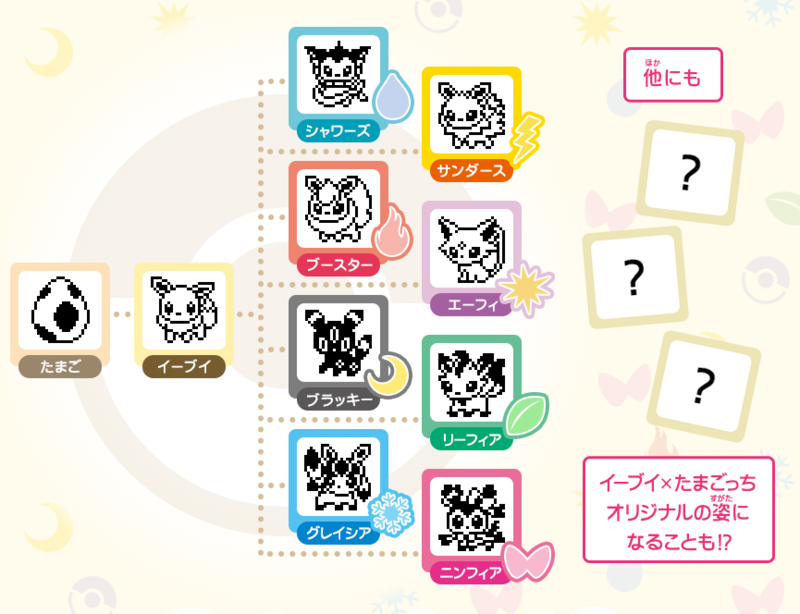 There will also be 3 special new and exclusive tamagotchi Eeveelution forms that Eevee can evolve into!!! We're looking forward to exploring these new Eeveelutions and seeing which method results in which Evolution! The gameplay definitely has a throwback to the original tamagotchi games (and of course the very first Pokemon games!) with its pixel style. It's also very Pokemon-esque with the Pokefood and Pokeballs. Eevee also has a variation of expressions which you'll get to see whilst taking care of them, how very cute! 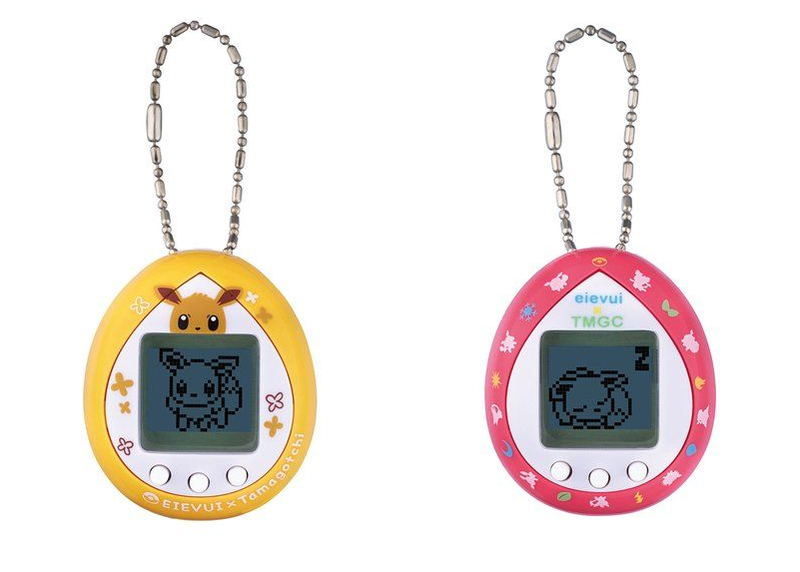 The Pokemon Eevee tamagotchi are set to release on the 26th of January 2019 and was announced today which is not so coincidentally Eevee day! So we'll have to wait a little while before getting our mittens on them! And they'll be retailing for roughly $30. We'll be sure to get these in stock over at JapanHaul, so keep your eyes peeled and munch away on Japanese candy from your TokyoTreat snack box to keep yourself occupied until then!